And the piano playin’ is hot! 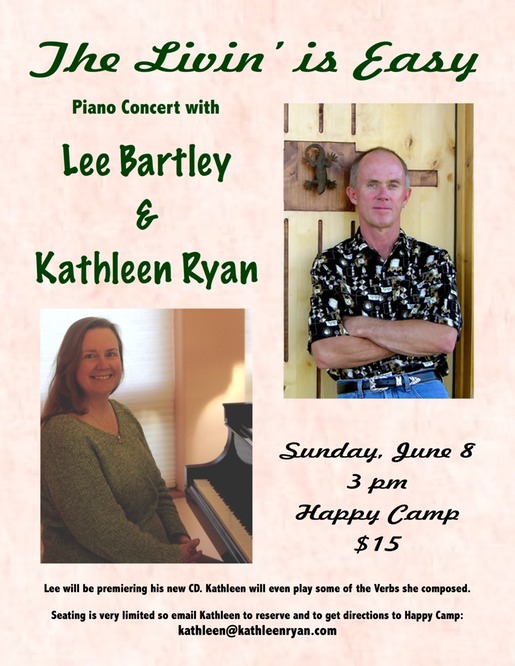 Join us Sunday, June 8. For more about Lee, 2010 Whisperings Pianist of the Year, visit his website. Attributed to Yogi Berra. Possibly from Albert Einstein. My piano student & I were escaping from the endless abyss of music theory this morning, when she asked me if knowing music theory as intimately as I do helps with composing. She likes to ask about my compositional process and I like to talk about it, so we’re well matched that way. My process is very simple: I do anything that works. If a rhythm jumps into my head, I start with that. If some words enchant me, I begin there. If I’m in a particular mood, I try to play that. If nothing else occurs to me, I ask myself what I would like to hear. Aside #1: once I was sent some words of Hildegard of Bingen, very poetic prose, and asked to set them so they could be sung. My first thought was that it would be ... not possible; after all, apparently Hildegard didn’t do it! But I woke up the next morning haunted by the text. I wondered, if this were music, what would it sound like, and the notes started coming. For about 20 minutes I took dictation, writing down the music I heard in my head. I believe it is among the most powerful music I’ve ever created; except, of course, I’m not sure I created it. Actually, this is a case where theory saved me: I knew how to write down what I heard! Does knowing music theory help in composing new music? My compositional theory is that because sound doesn’t sit there to be savored but instead evaporates rather quickly, music requires a lot of repetition, spiced with enough change to make it interesting. Too much change is chaos, but no change is b-o-r-i-n-g! Each piece has its own balance of repeat and change; my job is to discover that balance. And, you know, make up some music.